Neil Kinnock Expenses and Income Exposed by John Jupp at A4U Awards! Did you know Neil Kinnock was making some extra cash on the side as an affiliate manager working for Jessica Luthi over at Affiliate Program Advice ? 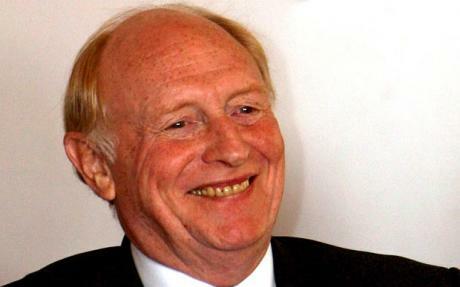 Neil Kinnock’s expenses are also going to fund nights out drinking at the A4U awards. Just as well this has not hit the headlines over the MP’s expenses war. Readers may wish to note that John Jupp formerly Deputy Chairman for the Gillingham & Rainham Conservative Association for three years. Clothing Company My Rock City did not know what they were taking on when they hired APA and entered the MP’s expenses war row. Is it just me is our John a lookalike for Neil Kinnock ? Clothing company My Rock City is a music inspired fashion web store dedicated to bringing you the coolest fashion brands and exclusive band collaborations. Myrockcity.com aspires to be ‘not just another online retailer’ we will be selling exclusive limited edition brand apparel as seen on some of the coolest bands of the moment “As Rocked by”. We specialize in those hard to come by brands here in the UK. We are constantly sourcing the up and coming brands your visitors should be wearing, as well as discovering the hottest bands your visitors should be hearing. We have taken every precaution to minimise commission leakage. PPC Policy: Open PPC Policy but will be subject to review in six months. At least I have never fallen into the surf whilst walking on a beach like Neil Kinnock. Making the video at Affiliate Summit West was a lot of fun. Heather please check out My Rock City. 30% commission on all first time orders, 15% recurring on a 90 day cookie. In addition the products are promoted by bands appearing at gigs and festivals this season and all products endorsed are solely and exclusively available through My Rock City for a specific period before being made available elsewhere. I wonder how many politicians would wear a rock t-shirt if they thought it’d bring them the yoof vote? Come to Wales and bring up the name Kinnock. He is in tie place with Bliar for most despised politician. Trouble is, that if and when he comes under the microscope, he will merely step down. His huge pension pot will see him comfortable in some European City or the USA. He will do a runner like many of the UK MPs following the next election. Pity really, they are crooks and should be prosecuted. They have ruined the UK with high unemployment, high violent crime, failing schools, failing NHS, poverty level pensions and working poor. Cant really blame them for getting out, but do blame them for the mess that they created and find not fit to live in.